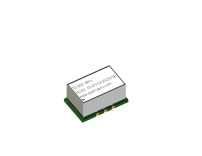 for use either as a frequency source to generate very stable and low noise carrier frequencies or as stable clocks in communication systems. 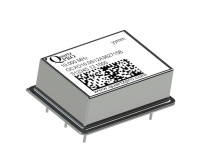 Take advantage of our long history in supplying World Class Oven Controlled Crystal Oscillators OCXO’s. All products are well documented and of high quality. We offer very competitive prices as we ship direct from our factory without any middle man. Many products can be delivered from stock or shipped with a short lead time.sources can be found in; Test instruments – Signal generators, Signal and / or Network analyzers, Frequency counters, Video transmitters, Wireless base stations, Routers, Power plants etc. 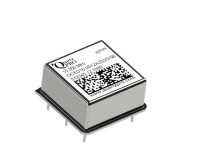 With the increasing demand for higher stabilities one can discipline the OCXO to either a GNSS (Gobal Navigation Satellite System) such as GPS, Galileo, Glonass and BeiDou or discipline the OCXO with the aid of the 1588 PTP (Precision Time Protocol) to achieve near atomic clock performance. Use the dark blue filter buttons to narrow in on your search for products. For instance click on 10 MHz if you know you want to see all 10 MHz OCXO’s that we can offer. You can continue to click on Supply Voltage, Output Signal, Package style and Size to filter out the products we can offer. In case price is not displayed please send us an inquiry simply by filling out the form under the tab “Contact”. Please state the part number and quantity you are interested in. Use our simple ordering process for purchase direct online by putting selected sensor in the cart and continue to check out for shipping and payment information. You can chose from credit card payment or receive a proforma invoice to make bank payment. Hermetically sealed ocxo for best environmental immunity. Wide temperature range. Fixed frequency output. Low close in Phase Noise. Small SMD ocxo with 6 pads. Wide temperature range. 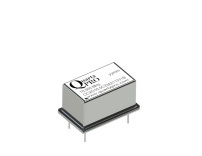 Voltage controlled input for external control of output frequency. ±2.0 ppm @ +1.65V ±1.65 V (0-1.65-3.3V). Hermetically sealed oscillator for best environmental immunity. Wide temperature range. Fixed frequency output. Tight temperature stability (± 6 ppb 20 / + 70 deg C). Hermetically sealed oscillator for best environmental immunity. Wide temperature range. Fixed frequency output. Low aging in combination with tight temperature stability.